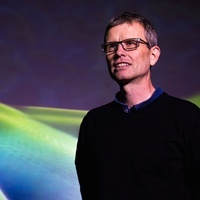 Dave Payling is a musician from Sheffield, UK and holds a PhD in visual music composition. His recent work focuses on visual music using animation and electronic music. His pieces have been performed internationally at Noisefloor festival Staffordshire, flEXiff Film Festival Sydney Australia, Seeing Sound Bath Spa, ICMC Shanghai and the Understanding Visual Music Conference in Brasilia.